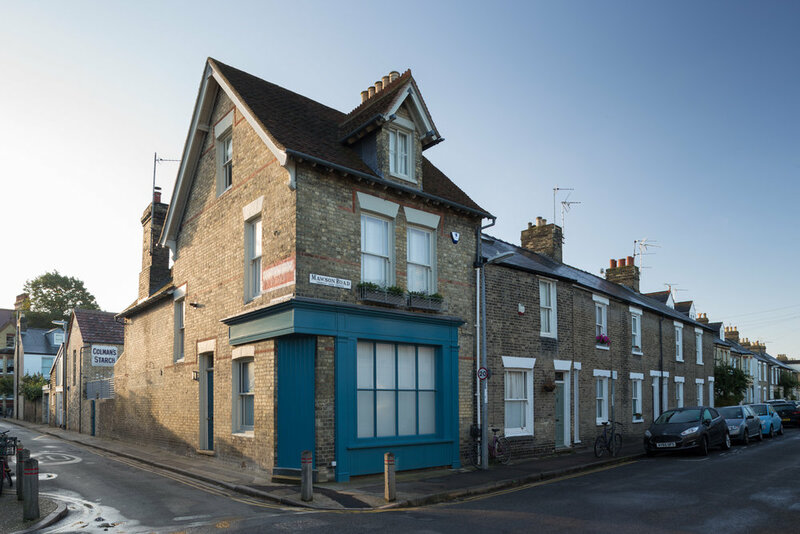 This former corner house in central Cambridge had since been subdivided into bedsits, and it’s dilapidated but charming outbuilding was used as a garage and store. Modern windows had replaced the former large shop front that faced the street. 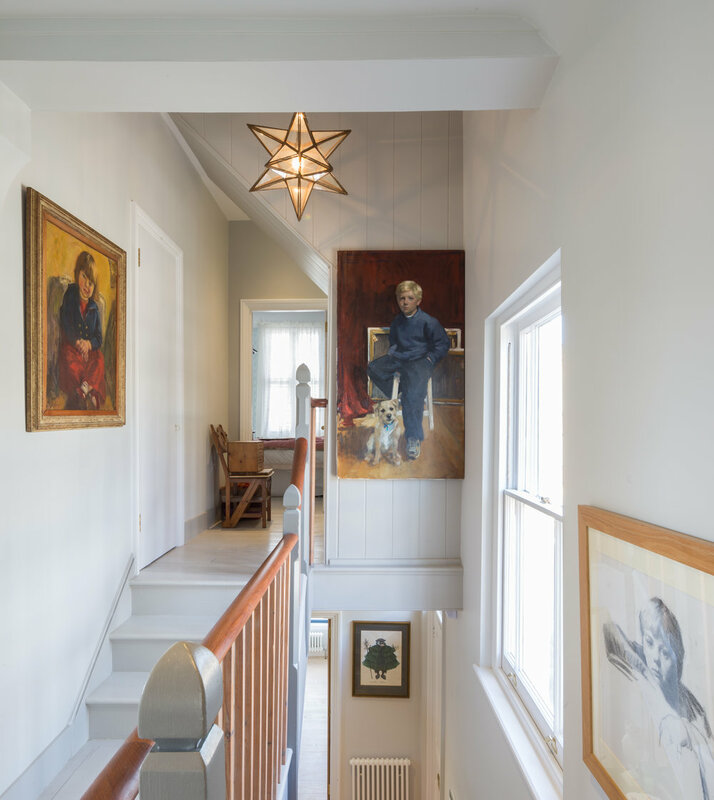 The brief was to refurbish the house bringing in as much light as possible and forming a connection to the courtyard garden to the rear. The outbuilding would be used as an annexe offering additional accommodation. The former shop front was reinstated, the ground floor rooms were reconfigured and extended providing views and access to the garden. A structural survey of the outbuilding showed that sadly it was beyond saving so it was recorded and then carefully taken down. The intention was to reconstruct the building making it thermally efficient without loosing its ‘outbuilding’ qualities. The brickwork was rebuilt as an insulated cavity wall construction on the footprint of the former building and left unplastered. A large glazed screen with metal framed doors provides access to the garden. The first floor is boarded internally and weather-boarded externally with a long first floor level window providing light and views of the garden.